A group of 21 women braved the chilly weather last weekend for a naked swim in Jervis Bay. The swim was organized by South Coast photographer Tamara Dean as part of her latest project – Endangered. The Endangered photographic series, which has seen her visit other areas of natural beauty around the country, including Heron Island in the Great Barrier Reef, aims to get people thinking about climate change. The crystal clear waters of Jervis Bay proved to be ideal for photographing swimmers underwater and celebrating womanhood. The idea was to mimic a tornado of fish and Tamara was thrilled with the results. 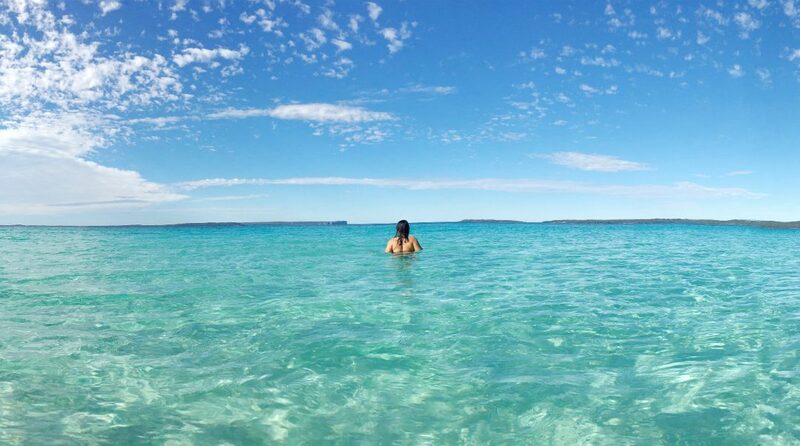 Hire a kayak or stand up paddle board from Jervis Bay Kayak Hire and see the sights of Jervis Bay from a different perspective. Book Kayak Hire in Jervis Bay or contact us with any queries.